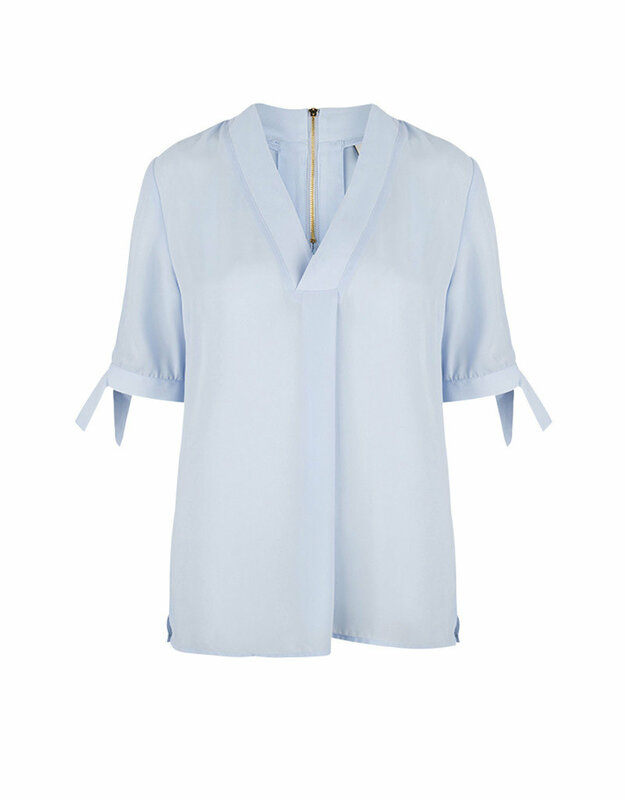 The Dante6 Lana top in Ice Blue is the perfect basic item to have in your summer wardrobe. 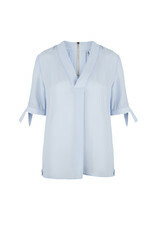 Cut from recycled polyester in a loose fit with two slits on the sides and a V-neck with a wrapped detail. 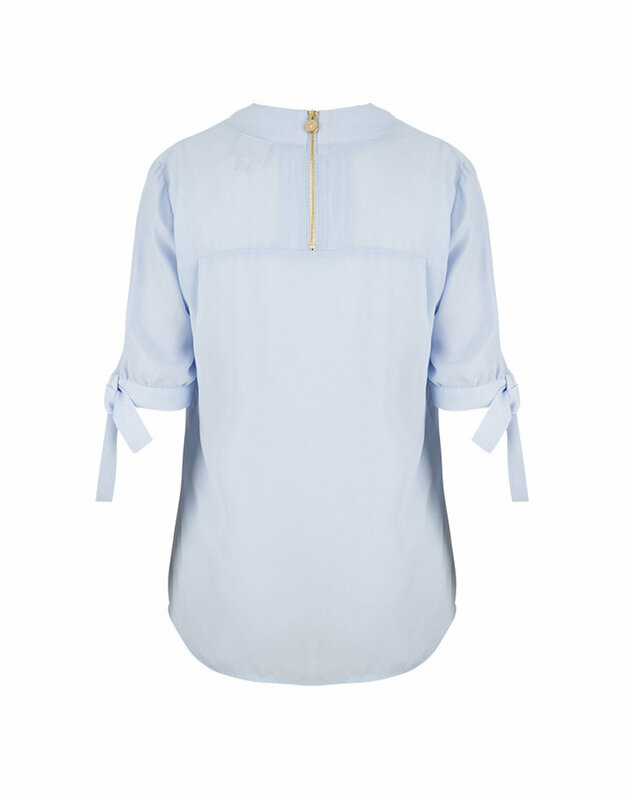 The short sleeves can be tied into a bow at the hem creating a playful effect. Closes with a zipper at the back. 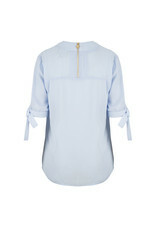 Available in three colours, Ice Blue, Navy and Basil Green. Wear on top of leather pants for a casual yet sophisticated look.